Since many parts of the world experience multiple seasons throughout the year, it is important that parents take their specific seasons and climate into consideration when buying kid’s shoes. If it is approaching the time when the weather typically begins transitioning into fall or winter, parents may want to think twice before buying open-toe or sandal-type shoes. Likewise, if hot weather is on the horizon, buying boots may not be the best plan, even if they are adorable and your child wants them. It is important to note here that there is nothing wrong with finding a pair of shoes that your child loves and buying them in a larger size so that they will fit when the appropriate season rolls around again. However, parents should be cautioned that doing so is not a guarantee that your child will fit into the shoes when the time comes. 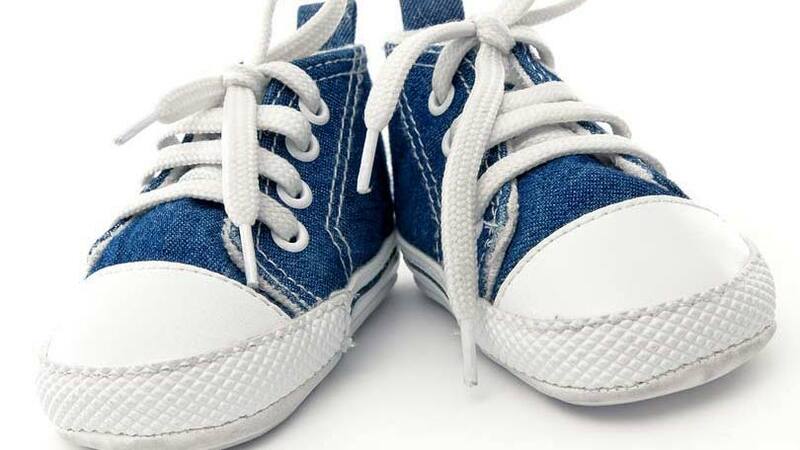 Growth spurts (or a lack thereof) can dramatically change the way that a child fits into his or her shoes – this is especially true of older children, whose growth spurts are often more noticeable than in toddlers or infants. Feet, much like eyes and hair, come in all shapes and sizes. Some are narrow, while others are broad and wide. Some children have longer toes than others, and many kids experience a condition known as “flat-footedness” which is where the arch of the foot is very shallow. As many shoes have built-in arch support, it is important that parents watch for this in their children to make sure that shoes are not causing unnecessary discomfort. Since kid’s feet are always growing and developing, it is vital that parents seek out shoe options that will do the most to promote healthy, consistent growth. Other unique needs that kids face regarding their shoes depends on their lifestyle. Do they run and play outdoors often? If they are older children, are they drawn to dressy or casual clothing? Are they at heightened risk for developing scoliosis or other bone or joint problems? All of these factors can and should play a role in deciding what shoe types to purchase. If you suspect that a medical issue may come into play for your child, there is nothing wrong with talking to your pediatrician or family doctor to hear their thoughts on appropriate footwear for your child. Chances are they will have good information for you; if not, they will probably be able to direct you to someone who is qualified to help you make the best decision possible. Not all shoes are created equal – in fact, many shoe brands are known for one or two distinct features. Being able to search these brands out and find the ones that will best fit your child’s needs is very important. Many shoe brands tend to be narrow, and others have a tendency to offer inadequate foot-bed support. The bottom line is that parents need to do their homework before picking up a pair of shoes for their son or daughter. When shopping online, a distinct benefit to prospective buyers are sites that offer consumer reviews. Once you find a shoe that interests you, look to see if anyone has submitted a review regarding that particular brand or style. This can potentially save parents a lot of hardship down the line. Hearing how the shoes fit other children, as well as how the company was to shop from, can make a world of difference. Likewise, if you have the time it might be a good idea to take a moment and write up a quick review on shoes you decide to buy, as it will be a potential help to someone else in the future. If online shopping and reviews are not your style, do not be afraid to try a more direct approach. Talk to other parents in your play group, or ask your son or daughter’s teachers or the parents of their friends their opinions on what worked for them and on what brands and stores were the best in their eyes. You may be surprised at what you discover. In the end, if your child does not like their shoes, you will be battling with them every time they have to put them on. This is especially true of toddlers who are entering the phase of wanting to do everything for themselves, as well as middle-school aged children who are beginning to enter into the age of peer pressure and fashion awareness. Make sure before you buy shoes for your child that you see what styles they like and get a feel for what they want. If they are older and it is easy to take them along with you, bring them to the store to help you pick something out. If you are shopping online, there is nothing wrong with having them sit beside you as you surf the web for the perfect footwear option. Shoes are another way for kids to express their individuality and personality – something that parents would do well to remember. So long as the price is right and the fit is something that will benefit your child’s feet and help them grow well, the style may be subject to your child’s taste preferences.